Jeff Gordon may have to 'win' his way into the playoffs...and that could be something to watch! 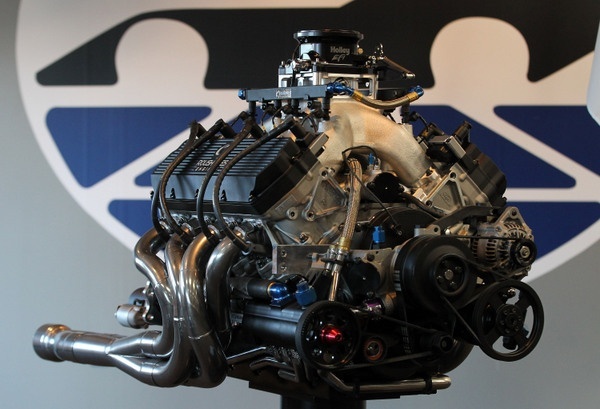 The NASCAR 358: legendary 'small block' engine....but does the sport need 900 horsepower monsters? Remember those Boss 429 Fords, 427 Porcupine Chevrolets, and 426 Hemis? Legendary NASCAR engines. Hall of Fame creatures. Big steam, as Mark Martin would say. Big, big steam. However if you can even find one of those classics today, it'll cost you a pretty penny. When the Go-Go 1960s turned into the Eco-Seventies, with the Arab Oil Embargo and gas prices jumping to 40 cents a gallon and all that, those monsters of the NASCAR midways were suddenly dinosaurs. Since the mid-1970s the standard NASCAR race engine has been set at 358....pumping out 650 horsepower back in the day -- but now, with all the modern tweaks, pumping out nearly 900 horsepower. Because drivers were hitting 218 mph on the straights at Michigan International Speedway a few days ago. That's what some drivers have asked. The two 400s at Michigan were really good races. Probably as much on adrenalin and surprise as anything. And at slower speeds that dreaded 'aero-push' is not as pronounced. With NASCAR's rear-end gear rules and the electronic fuel injection systems limiting RPM, maybe this 5-liter engine project is worth reviving. The current NASCAR 358 is really a mechanical marvel, rivaling Formula One engines in many respects. And to pump out 900 horsepower for three hours or more demands a hefty, solid piece of machinery. On top of that, consider the reliability of these 358s. Maybe these 358 c.i. engines are now dinosaurs too. The street 350s were once pretty standard passenger car engines. But today how many fans' cars out in the lots behind these grandstands have 350s under the hood? But some might ask does that even matter? Or are the amazing speeds putting Michigan in danger of becoming another California Speedway, where so many years of high-speed single-file racing (208 mph into the corners) has taken a devastating toll on crowds? Goodyear has done an admirable job of keeping up with the increasing demands of these speeds, these repaves. However, NASCAR racing is not just some academic, technological exercise, but entertainment. Side by side is good entertainment. 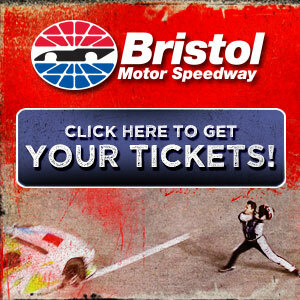 Just ask anyone who watched Matt Kenseth and Tony Stewart at Bristol a few days ago. Slower speeds at some of these tracks would give Goodyear engineers more leeway to provide tires that 'give up' over a tire run, slowing down enough that crew chiefs and drivers can start playing games. Of course asking engine men about retooling and ordering new parts for such a new engine doesn't usually meet with big smiles. One, asked about 305s, suggested instead that NASCAR cut speeds by ordering Goodyear to run much narrower tires, perhaps even grooved, like F1 used to try to curb speeds. Nevertheless, speed and engine costs (as much as $100,000 a race for a team) are issues under discussion in the NASCAR garage right now. So is it now time to rethink this 358 thing, and consider downsizing again, to maybe the 5-liter 305 c.i. range? Yes, it's hardly the right economic moment to start changing engines; teams are still trying to digest this electronic fuel injection stuff. However some in Detroit are saying it may well be time to start rethinking 358s and lay out a game plan for smaller engines. Robert Yates, the famous engine builder whose son Doug now carries on the legacy, began talking in the early 1990s about the need to cut engine size even then and cut back on speeds (even before Ernie Irvan's first bad crash). But Yates' bid fell on deaf ears. The issue of smaller race engines was revived in 2005, with thought and paperwork about a new NASCAR engine playbook -- when Toyota was just breaking into the sport and needed a new engine, and Chevrolet was getting a new engine, and Dodge was getting a redesigned engine. That would have been a good opportunity to make a switch to smaller 305 c.i. engines. Maybe a missed opportunity, in retrospect. A key question here: Does such brute horsepower really put more butts in the stands? Bruton Smith, who owns about half of this sport's biggest race tracks, says slower speeds would mean better racing, more side-by-side racing. And that, after all, is what this sport is all about anyway. The dogged determination to hit higher and higher speeds sometimes seems almost ludicrous. And slower speeds would allow Goodyear to make 'softer,' more raceable tires. At least that's the logic. And some in Detroit are suggesting it is time to get out that yellow legal pad and start thinking about it. -- To reduce the vehicle weight, mandate a maximum of 200 pounds of ballast. The cost of tungsten, which is used in lieu of lead, as ballast costs $$1876.88 for a 34-pound block. Some of the latest Cup cars have over 500 pounds of ballast, so the tungsten cost would be around $28,000.00 per car. -- Tighter regulation of race car batteries. Expensive lithium batteries, which cost in the neighborhood of $2,500 each, are used to save weight . Each car uses two. NASCAR, with its 2013 project, is giving Detroit its head in adding significant 'design cues' to these stockers, to make them appear more relevant to what people drive on the street. Well, which way is Detroit going anyway these days? Is there a coherent game plan among the nation's big car makers for how to play this NASCAR game? Dodge, after all, just threw up its hands and decided to bail out. Well, it looks like Godzilla Muscle Cars are back in vogue. The 2012 Chevrolet Camaro ZL1 LSA is a street-legal monster of an engine, 580 horsepower, 556 foot-pounds of torque. The Ford Shelby GT500 even tops that: 662 horsepower, 631 foot-pounds of torque. Either one would probably blow away any of those hybrids at a stoplight. So maybe smaller NASCAR race engines runs counter to what Detroit wants? Cutting 60 cubic inches out of the 358s would cut horsepower back to maybe 750. But while that could change the dynamic, would it improve the racing? Well, consider that Nationwide cars and Trucks are running with 200 horsepower less than the Sprint Cup cars. Is Nationwide racing and Truck racing better racing than Cup offers? Is the Saturday action at these NASCAR tracks better than the Sunday action? A good debate could be made. Submitted by Tony S on Thu 08/30/2012 - 12:38. Great article Mike. I have written you many times over the last 10 years about the engine situation in NASCAR. The COT should have been the EOT instead. The introduction of Toyota should have brought along a whole new engine platform. To really reduce power though, they will have to go less than 300ci, smaller ports, smaller valves, limit cam lift etc. If nothing else changed right now but the size of the engine, they really wouldn\'t lose much power. I say 200-300 less power, more downforce, wider tires, lower center of gravity. Those changes would make side by side the norm instead of the exception. Heading to ATL this weekend..1st time there. Woohoo! Submitted by Mike Daly on Thu 08/30/2012 - 16:05. The discussion about shrinking engines almost always devolves into nonsensical theorizing that ignores realworld history. There has NEVER been any evidence that downsizing engines can do anything to control speeds - on the contrary, NASCAR\'s V6 experiment in the 1980s and early 1990s would up proving that downsizing engines CAN\'T work. And we get the nonsensical argument for narrower tires, this despite ZERO evidence of slower speeds from them. NASCAR can at least attack the horsepower problem right now - by simply restrictor plating more tracks. Unlike all the other ideas, the restrictor plates WORK. They actually curb speeds. I over and over hear the argument that the plate experiment at New Hampshire in 2000 somehow was a failure, as through restrictor plates somehow were responsible for crippling ability to pass; the fact is handling and the nonexistence of the draft is what got in the way of passing; there is literally NO such thing as passing stymied because of restrictor plates. The CID of the engines is a non-answer. Submitted by Andy D on Fri 08/31/2012 - 03:16. I've been calling for an engine reduction for years. I think it's important that NASCAR has practical research opportunities for the manufacturers and relevancy to what the fans drive. In addition, we can dump those stupid restrictor playtes and dump some the aero that's currently needed for these higher speeds. IMO, they should be going to a V6 or diesel, but I know that folks insist on the V8 roar. I propose that we take it below 5 liters so that the engines remain relevant longer. Ask Detroit what they're working on. GM has a 4.8 and Ford has a 4.6, I think NASCAR should aim for 275 cubes. What sizes are other series running? Sure would be nice if the manufacturers had a standard block for Indycars, Australian V8, NASCAR and GT racing. Submitted by Mike on Fri 08/31/2012 - 09:59. V6 or diesel, you must be kidding. If NASCAR wants to lose more fans that's the way to go. For me, the sound of the big v8's is one of the things I love about NASCAR racing. I have been watching since 1987 and I'm already getting to the point where I'm sick and tired of chevy and hendrick. Either one of your ideas would end my NASCAR days. It would be the same if they went the diesel direction, that's just what I want to do, watch a race and breathe stinky diesel exhaust for 3 hours. Interesting argument, but much ado about nothing. Submitted by Russ on Fri 08/31/2012 - 06:06. Interesting argument, but much ado about nothing. Undoubtedly Nascar will be forced by the manufacturers into relevancy at some point. In fact the first baby steps have probably been taken with the bodywork (and thats all it is) for the 2013 cars. Although as usual they neutered it by requiring the same aero numbers from each. Engines are irrelevant anymore. Drivers will drive what they are given,or choose another series. The fans dont care, many probably cant tell you what size engine is in their street car. So while it would make sense,there is no upside to changing everything, and the cost would be astronomical. Submitted by Dennis on Fri 08/31/2012 - 12:14. Quoting those old horsepower numbers remind us how much we could reduce power and still have a great show. Those old races were exciting and they weren't using cars that are nearly as aerodynamic as the current machines. I hate aero-push races and that's what the series has mostly become. Lots of work needed on many fronts and engine power is certainly one of them. Submitted by Bill H on Fri 08/31/2012 - 19:56. The 5.0 package yields 600 - 650 reliable HP, and with the RPM restriction, the engine can actually last for more than one race. The objective SHOULD be to make the package more reliable & durable--even bulletproof--with such an RPM restriction. The cost of doing this will be lower than the current engines which have no speed restriction, due to the less-exotic valve train and less work needed to create heads that will support the lower engine speed & power target. While V8SC uses EFI, if NASCAR is looking at this as an economy move (for the race teams), it\'s possible that carburetors might remain, but if a standardized EFI could be used, that is probably the way to go....with Cup leading the way, much of the development cost is being absorbed there, so EFI for NNW & trucks is going to get cheaper. Submitted by Rob on Mon 02/25/2013 - 19:18. I used to watch NASCAR races from the late sixties through the early nineties until the advent of the generation 4 cars. I thought those races were way more interesting to watch. I gave up NASCAR when the single file, freight train racing took over and the cars all began to look the same. I like to see a few races where you \"run what you brung\". Heck they have ultimate fighting now why not have at least a few races where team field manufacturer \"stock\" body cars with whatever engine they can find. I know that\'s insane but this is driven by nostalgia for the good ole days. I watched the 2013 Daytona 500 just to see how Danica would do. The racing itself was a huge bore which is why I stopped watching more than 20 years ago. Submitted by powerslide on Wed 03/20/2013 - 13:36. Why not put R/C cars on the track and let the drivers control them from where the spotters usually watch? The point of racing is to go fast, like it or not. The NHRA went to an 1/8 mile track and lost me. What's the use? NASCAR almost lost me in 88 with the plates. Is this discussion for fan safety, driver safety or the want of some for their viewing pleasure? Going slow does not make for better racing and they will go fast no matter what engines they put in the cars. They might handle better with a chainsaw engine but the V8s used currently are way lighter than the 350 you can get in a new Chevy truck. Why not run auto trans and put a speed limiter on the trans? Yeah, slow them down to 50mph and watch how many fan flock to the races. People were bored with single file racing? Gee, the 1985 Daytona 500 was incredibly non single file and that was before the 1988 plates. The fast cars lead in that race just as they did at Talledega. The point is to lead and win, not go slow and wave at the fans. Why not run legends cars with motorcycle engines for 100 mile and call that NASCAR? Because fans would ignore the sport. When did everyone become PC/green and decide they wanted pocket motors? Maybe we are realizing a generation of wimpy people who are frightened by a bit of engine noise? Are mufflers next?